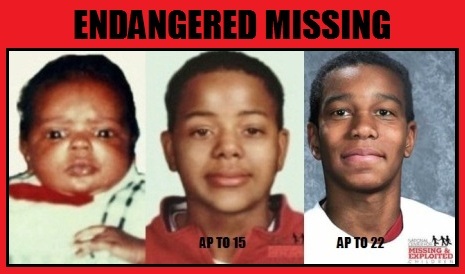 Andre and his mother were allegedly abducted by two unknown black females. Andre’s mother was found deceased the following day. SUSPECTS: Both women were approximately 5’7″ and 130 lbs; one woman was described as being about 22 years old with red hair, the other about 30 years old.